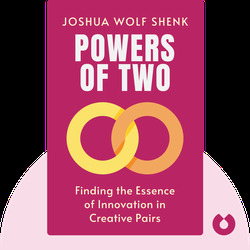 Despite the myth of the “lone genius,” behind every creative type there is often a creative partner. 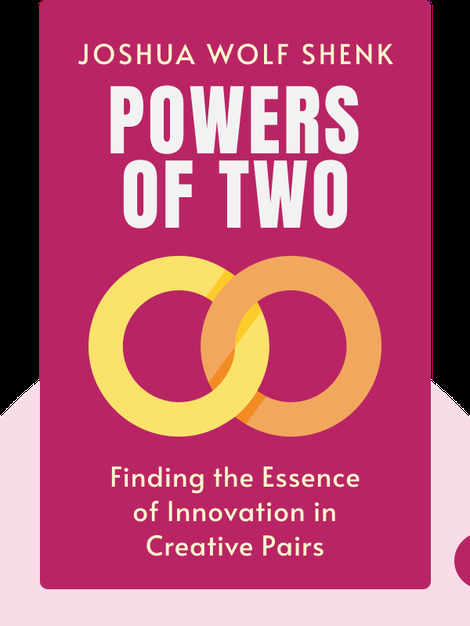 Powers of Two explores the idea of the creative pair, examining the relationship of creativity and the brain, while drawing heavily on examples of celebrated creative duos such as The Beatles’ John Lennon and Paul McCartney, Apple Computer’s Steve Jobs and Steve Wozniak, and South Park’s Trey Parker and Matt Stone. Joshua Wolf Shenk is a curator, essayist and author. His article for The Atlantic, "What Makes Us Happy?" was the most-read online article in the history of the magazine. His first book, Lincoln’s Melancholy, was voted one of the best books of 2005 by The Washington Post.